I read this novel at the end of summer and it was a treat. This was a at times humorous at times touching story of a young boy who wants to find a (basically) old, washed up magician, because he wants him to teach him how to keep two people (his parents) in love. It is sweet yet funny (the magician is rather cranky and is happy to take advantage of people), yet there is a twist to the story, too. Moving between two time periods, the writing flows easily, and I read it in two days. I didn’t want to stop reading! They liken it to All the Light… and The Nightingale. Well – no. I’ve read both and they are not like this novel at all, except that they both do include WWII and All the Light has the young girl in it. 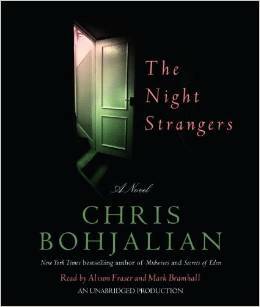 This novel is much lighter with much more humor (though there are certainly serious moments, esp. in the section on WWII), and has a true feel good ending. Sweeping between Prague during World War II and modern day Los Angeles, this deeply moving debut follows a young Jewish man in 1934 who falls in love and joins the circus as the country descends into war. Decades later, a young boy seeks out the now cynical, elderly magician in the hopes that his spells might keep his family together. Prague, 1934: The fifteen-year-old rabbi’s son Moshe Goldenhirsch marvels at the legendary circus magician known as the Half-Moon Man. Unexpectedly, he falls madly in love with the magician’s delightful assistant, spurring him to run away from home to join the circus, which is slowly making its way to Germany as war looms on the horizon. Soon, he becomes a world-renowned magician known as the Great Zabbatini, even sought after by Adolf Hitler. But when Moshe is discovered to be a Jew, only his special talent can save him from perishing in a concentration camp. Perfect for fans of All the Light We Cannot See and The Nightingale, this radiant historical novel is both a deeply moving story of a small boy who believes in everything and an old man who believes in nothing—as well as a gripping and heartfelt tale about the beauty and fragility of life. I’m happy today to be taking part in the blog tour for THE SECRET LANGUAGE OF STONES, number in the La Lune series by M.J. Rose. She is the author of more than a dozen novels, the co-president and founding board member of International Thriller Writers and the founder of the first marketing company for authors: AuthorBuzz.com. She lives in Greenwich, Connecticut. Visit her online atMJRose.com. This is such a beautifully written book – M.J. Rose’s writing is so evocative of another time and place; her writing transports you, and the magical realism of her storyline shines through. I enjoyed the first book in this series (THE WITCH OF PAINTED SORROWS), but each book can stand alone as well. I loved the character of Opaline – she was so very real – and of course I love anything associated with the Romanovs. What I liked best, though, was the writing: when I would sit down with this book, it was like sinking into a favorite cushy chair. I look forward to the next book in this series — thank you for making me part of the tour and for my e-ARC. Follow the tour and discover a new blog! My friends at Book Publicity Services recently sent me a galley of THE KINGDOM OF OCEANA, a story of two brothers, taking place in what is present-day Hawaii (you know I love Hawaii!). The Kingdom of Oceana is the first book in a new Young Adult fantasy adventure series by Mitchell Charles. It was published in November 2015. The story takes place five centuries ago, on the island now called Hawaii, where there was a kingdom filled with adventure, beauty, and magic. When 16-year-old Prince Ailani and his brother Nahoa trespass on a forbidden burial ground and uncover an ancient tiki mask, they unleash a thousand-year-old curse that threatens to destroy their tropical paradise. As warring factions collide for control of Oceana, it sparks an age-old conflict between rival sorcerers that threatens to erupt–just like Mauna Kea, the towering volcano. With the help of his ancestral spirit animals, his shape shifting sidekick, and a beautiful princess, Prince Ailani must overcome his own insecurities, a lifetime of sibling rivalry, and a plague of cursed sea creatures brought forth by the tiki’s spell. Can peace be restored to the kingdom? Can Prince Ailani claim his rightful place as the future king of Oceana? Two brothers, but only one can rule. The Kingdom of Oceana is currently available for sale on Amazon in kindle and paperback. The audiobook will be released in April 2016. I had fun with this book. It had interesting elements of Hawaiian culture and beliefs, with fantasy thrown in (shape shifting and telepathy, for instance). But at its root, it’s a story about two brothers and their sibling rivalry. I thought it’d be a great classroom book, especially if you were doing a unit on Hawaii and Hawaiian history. Many Hawaiian words are used and a glossary is provided. On my kindle, I could just click and get the meaning of them, too. Looks like a sequel is in the works! I absolutely adored this middle grade novel which I got from Net Galley. Twig and her family live in Sidwell, Massachusetts, but her life is far from ordinary. Her brother is kept hidden because he bears the effect of a curse put upon the family years ago by witchcraft. When two young girls move in next door Twig wants to befriend them, but doing so may put her brother at risk. Even worse, the girls are the descendants of the witch who first cursed Twig’s family. Can Twig and her friends reverse the curse before it is too late? Loved loved loved this beautifully written story about love, family, and self-acceptance. Thank you, Net Galley and Random House, for my copy. I love Sarah Addison Allen’s writing. I’ve read all her books (such as GARDEN SPELLS, LOST LAKE, THE PEACH KEEPER, etc.) and was so excited when my husband got FIRST FROST for me. This novel continues the story of the Waverly sisters, and their families who we were first introduced to in GARDEN SPELLS (you can see my review from 2011 here: https://drbethnolan.wordpress.com/2011/08/08/quick-review-garden-spells-by-sarah-addison-allen/). Fans of Ms. Allen should not miss this one! A satisfying and reaffirming read. Kickstarter Campaign for Orchard House Documentary – only 60 hours left! If you know me, you know I have a complete obsession with all things Alcott — the person, the family, the books, etc. I’m a “Little Women” junkie (I’m actually also a lifelong devotee to Laura Ingalls Wilder, but that’s for another post). Everyone has a special place – a mountaintop, a cathedral, a beloved home – that makes them feel safe, connected, and inspired. For millions of people from all over the world, Orchard House is that place: a gathering place, where people from many backgrounds have come together for over 350 years to count themselves part of a community – a community steeped in hope, courage, and perseverance. Many who wish to experience Orchard House may never be able to visit in person, and there are millions more that do not realize the house exists. Together with your pledges and our dedication, this film will change that. The history of Orchard House includes the prolific Alcotts, of course, but other stories remain unexplored. Even a visit to the home cannot reveal all there is to tell about Orchard House. That’s why we need to make this documentary. Our film will be an hour-long, PBS quality documentary that will dive deep into those stories starting in the 1600’s. We will tell of the courageous occupants before the Alcotts, including the rescuer of a kidnapped woman and a Revolutionary soldier. We will also offer insights about Concord’s rich literary history; chronicle the process of how the museum was created in 1911; and, of course, give a behind-the-scenes look into the Alcott family and their time in Orchard House. 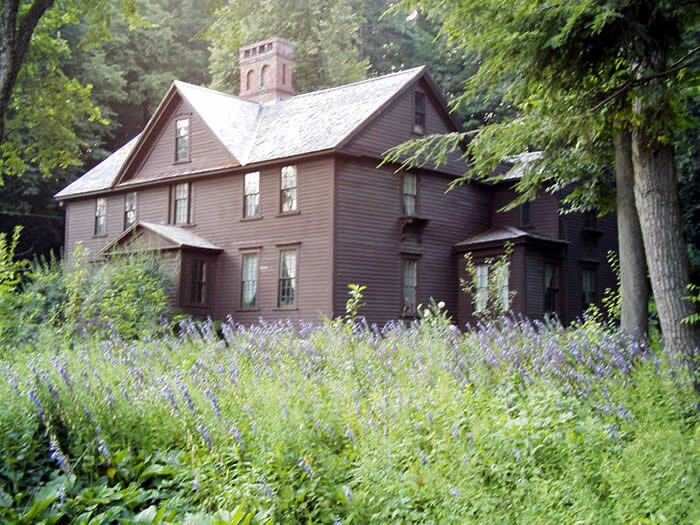 We will seek national and international distribution to share interviews with house staff, Alcott scholars, celebrity friends, and the people of Concord to illuminate the remarkable power of place Orchard House possesses. We are SO CLOSE to reaching the goal of $150,000 and there are only a handful of hours left. FREE YA book on Kindle — 11/8-12! In The Saffron Falcon (Unseen Worlds Publishing, 2013), author J. E. Hopkins uses fantasy and what he calls “Transition magic” to explore the unique challenges faced by adolescents as they reach adulthood. A dark fantasy-thriller, the book takes place in our world in the near future. Children can use Transition magic for one month as they approach puberty, but they must use certain ritual words and the magic must be unique. If it doesn’t meet these requirements, the child doesn’t make it to adulthood. Few children attempt to use their power because the danger is too great, and most who do use it, die. The Saffron Falcon features two parallel stories: in one, United States security agents try to recover an ancient codex that would eliminate Transition magic’s uniqueness requirement. If they fail, dark magic will be unleashed on the world. At the same time, the book tells individual stories of children throughout time who have used Transition magic to save themselves or someone they love. J. E. Hopkins is the author of fantasy thrillers including The Scarlet Crane (March 2012) and The Saffron Falcon (October 2013). A life-long reader, Hopkins says his writing influences include J. R. R. Tolkien, Douglas Preston and Lincoln Child, Isaac Asimov, John Connolly, and Greg Bear, among others. The Saffron Falcon (Unseen Worlds Publishing, 2013) is available at http://www.amazon.com. For more information, visit http://www.jhopkinsbooks.com. A few weeks ago I read this book and posted the book trailer for it. 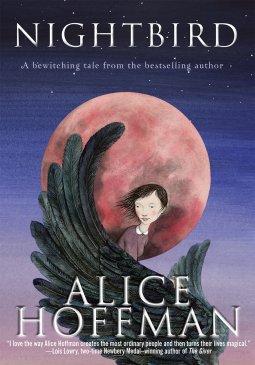 It’s the first in a new series for young readers, coming out in May, in which 12-year-old twins Linus and Ophelia discover a magic circle in their aunt and uncle’s attic, which brings book characters to life. (Of course the circle is also being misused for bad deeds by a nefarious former house occupant). One day Ophelia drops her copy of “The Hunchback of Notre Dame” down, and the next thing they know, Quasimodo is there in person. Enlisting the help of a young neighbor friend and a “cool” priest, they have a race against time to get Quasi back to his own world. I loved this book and look forward to more in this series. I’ve already recommended it for our school library and will be getting it for my own elementary-age children. See this book on Amazon where I am an Associate and it can be pre-ordered. Thanks, Net Galley and Zonderkidz books, for my kindle copy!